One of our own in The Third Narrative community, Gershon Shafir — Professor of Sociology at the University of California, San Diego, a past President of the Israel Studies Association, and author of A Half Century of Occupation: Israel, Palestine, and the World’s Most Intractable Conflict — has just published “The Israeli Settler Movement Isn’t Much of a Movement,” in The Forward. 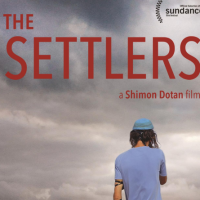 The settler lobby’s bravado gives off the odor of desperation. If things were going well, and colonization was humming, then why invest all this energy on shutting the eyes that see and padlocking the mouths that speak?